Wir arbeiten gerade daran unsere Gilde für den HAAT fit zu machen und suchen deshalb ambitionierte Mitglieder die mit uns auf dieses Ziel hin arbeiten möchten. Gerne auch Gruppen bis 4 Spieler die ein nettes Zuhause suchen. Momentan sind wir,wie der Name vermuten,lässt überwiegend Österreicher, doch ist bei uns deutschsprachige Verstärkung aus aller Welt willkommen. Wir erreichen 26 Sterne in den TerritoryBattles und wollen uns stetig verbessern. Austausch und Hilfe über Discord und Ingame Chat. Sowohl beim Rancor als auch dem Tank gilt bei uns eine 24 Stunden Anmeldephase. Überschüssige Tickets werden an Wochenenden für Bonus oder Übungsraids verwendet. Motivation und Spaß am Spiel. Gezielt deine Teams für den Haat aufbauen.Hilfe in diesem Bereich wird geboten. Discord nutzen, weil der Gamechat einfach Schrott ist. We are fear the Hunters, a Heroic Pit / nAAT guild getting very close to being hAAT ready. our next attempt (and hopefully the one that makes it) will be in under a month. We just need a few more phase 3 teams to tackle the raid. Currently looking to fill up 2 spots that opened due to inactive players. We launch 3 heroic pits and 2-3 AAT a week. there's a 24 hour 0 damage period for the rancor and FFA for the nAAT. In terms of the heroic pit raid, it usually flies by in 10 or 15 minutes depending on the people playing at the kill time. We do one every Mon/Wed/Fri when tickets allow it with a 24h 0 damage. The nAAT (hopefully soon to be hAAT) also has 24h 0 damage and flies by in a couple of hours. We have members mostly in America and Europe, and launch times are convenient for people in or around such places. We have both heavy hitters and F2P players. Getting 600 daily tickets it's not enforced, although most of us get them or come close to. We're getting 25-26 stars in TB. Our communication is mostly by discord, although it's not a requirement and every important announcement is also posted in-game. Hope to hear back from you!! There are currently 2 openings for new members who want to be part of a committed and ambitious guild. We are closing in on being HAAT ready by the new year. 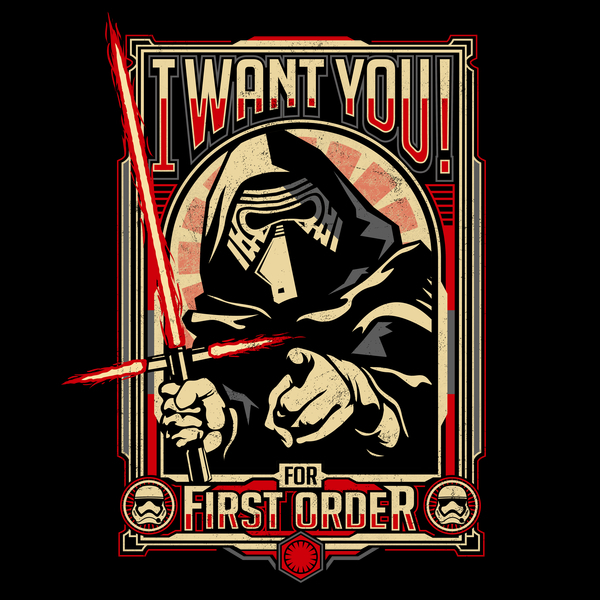 New recruits are expected to have a swgoh.gg account, we need this for our TB Platoons auto-updating spreadsheet, and you need to join our LINE group. Average 25k tickets per day. Heroic Rancor raids are every 2-3 days and normal AAT raids are every 3-4 days. GP 53M / 26* in TB. hRancor & nAAT open for damage: 7:30am, 3:30pm, 11:30pm EST (12:30pm, 8:30pm, 4:30am UTC), register zero damage during the 12 hours prior. Apart from the zero damage period in the raids we have no strict rules but we do regularly replace the least active members to keep raid ticket production up. We have a LINE group where we discuss the game, help each other improve and co-ordinate the guild for Territory Battles and raids. We are a very friendly bunch of Star Wars fans from all around the world, mainly USA and Europe. If you're interested in joining send me a private message with your swgoh.gg account link or add me on LINE and we'll talk there. Legends of Light is a friendly 32M GP guild recruiting 2-3 members for HAAT and TB push. Guild reset is at 930PM EDT (1030PM EST). Send us your Ally Code via Discord (expires after 25 hits): https://discord.gg/fsQyVmX or message me here. Helpful members with gear and advice. Rancor Heroic - 0 damage first 24 hours. Those with 7* Han are encouraged to let others get top spots instead. NAAT - FFA. Cleared in one refresh. HAAT - We plan to do a HAAT after TLJ is released. Hope to see you on our leaderboard. All levels and experience welcome. LP Padawans League is a casual guild currently working to getting people of all lvls and experience rdy for end game content. We are a secondary Guild for Lifetime Power and as spots open for Lifetime Power Heroic guild you will have first dibs if openings are available. We are an EST guild. - LINE app is highly recommended for communication and much richer guild experience as you will have the chance to talk with members of Lifetime Power to get help and advice from veteran players. We are currently running one Heroic Rancor Pit raid every week but will change as tickets contribution and membership increases. We Currently have 27 active members an 19.6 mil GP we are completing Heroic Pit with the help of our parent guild Lifetime Power for now but working to soon be able to complete this on our own. We love to help out with questions and strategy and would love to have you join our guild family. We try to be a drama free guild, and are pretty laid back. There is no expectation to spend in this guild as I am a free to play player myself. All we ask is you have a willingness to learn and we will take you to new heights as a F2P player. We are looking for 3 more active member to round out our guild to get back up to 50. Three members just left today to join their friend’s guild. We are looking for members between 700,000-1,100,000 GP. We are not looking to add any whales and most of us have been in the guild from early on when it was started. We do not have a ticket requirement but are looking for very active players who will contribute to guild tickets, gear exchange and participate in raids and Territory Battles. If you are not active or violate the 24 hour zero damage rancor or tank rules you will be removed (which is why we’re looking for a new member). We currently have a group LINE chat going with 45 members on it. We use it because it is easy to communicate on, discuss strategy, and use it to coordinate raids and Territory Battles. Our guild is >47M GP and last TB we hit 26 stars and reached the benchmark where you start earning purple crystals. Our TB is drama free and has clear directions every day, all we ask is you participate and follow the plan. We don’t require you to farm any specific characters but certainly appreciate it if you’re able to. Heroic rancor has a 24 hour zero damage phase followed by a FFA which lasts 10-20 minutes. We alternate raid times between 10:30 AM, 6:30 PM and 2:30 AM (all times Pacific U.S.). This allows everyone to have a raid time that is convenient for them. Our normal tanks are also 24 hour zero damage and the FFA lasts anywhere from 3-12 hours depending who’s around to attack. The guild currently has 6 Zylos and a 3 Zavages so we should be okay in phases 1 & 3 when we make the jump to heroic tank. The guild members are currently working on their phase 2 HAAT teams and are acquiring either Zavage or a Teebotine/Chirpatine team so that we’re able to get through P3. We will be making our HAAT attempt in December which we think we should be able to clear. We alternate tank times between 10:00 am Pacific and 10:00 pm Pacific so that everyone gets a shot at different phases. If interested you can PM me with any questions you may have about our guild or better yet message me on LINE at tk-421starwars. We have had horrible luck with random members asking to join (they always attack early and never communicate in the game chat) so please contact me before requesting to join the guild. You can also contact me on Discord at TK-421#3856 but I’m on Discord less frequently. Chalmun's Cantina is looking to fill 3 available spots. We are a friendly guild with members who actively donate gear and help each other out with srartegy tips. Our current GP is 46,149,588 and always rising fast. We are currently farming heroic Rancor and are preparing for HAAT. We have a 24 hour 0 damage rule on the heroic Rancor. We ask that everyone is respectful to each other in chat. We use in game chat and also Line but it is not mandatory. We are looking for members who are already level 85 with at least 1.2mil gp or close to it and are active daily. My ally code is 232-964-343 and my Line ID is otaku1331. If you're interested please PM me or contact me on Line. Thank you. 27 Territory Battle Stars with superb TB coordination. All members on Discord (An app used for guild communication). This is required and I guarantee you'll like it once you try it! There is a wealth of information in our Discord group. Members from all over the world but English speaking. Rotating Rancor schedule with 24 hour rule. This ensures all members get to participate. If you are stuck in a dead-end guild, and are thinking about jumping ship, join us! You won't regret it. Extremely organized, friendly and helpful. Very giving in the donations department. Looking for members with 700k gp and above. HPit raids. 0 damage for 24 hour registration rule. nAAT raids. We are working our way to Heroic. Have started regularly bringing in mercenaries for HAAT to get better rewards and GK shards. We have a discord but it's not mandatory. Might become so in the future. We're all pretty much F2P, but what you do with your money is up to you. Prefer you to be 800k GP. 17 * TB with only 38 members. No daily requirement, people have lives. However, we highly encourage daily activity participation. But 3 days inactivity is grounds for dismissal. The Corellian Refugees have room for a couple new members after losing some inactives. We just ran our first hAAT and made it to phase 4, so we need just a bit more firepower to get us to the finish line. Next attempt will be 17-Nov. Perfect time to welcome some new guildmates who can help us crush it! We're a relaxed, yet dedicated guild, and are very helpful with game strategy. Mostly US, with a few in Europe & Australia, and most player levels from 80 to 85. GP is over 55M and rising, with 27 stars in the last TB, so we're earning crystals. Looking at 28+ on the next round to get that next level prize box. 600 raid tix per day is expected - the more tix we earn the more often we raid. We all have days when we miss it. Hit it the next! Guild activities reset at 6:30 PM US central time, and we launch most raids at that time. Weekend raids launch at 11:00 AM CST for our guildmates in Europe. Both nAAT & hRancor have 24 hour zero damage limits so all can get in on the loot. We use Discord extensively (keithereal#8467). PM me here or there for more details, or check out our public channel at https://discord.gg/KPnkjja. Hope to have you join us! Could be our final post on this page as we’re looking to attempt HAAT within a week or so (previous attempt was unsuccessful). We are looking for 2 more active members to round out our guild. We are looking for members level 85 who are between 800,000-1,100,000 GP. We are not looking to add any whales and most of us have been in the guild from early on when it was started. We do not have a ticket requirement but are looking for very active players who will contribute to guild tickets, gear exchange and participate in raids and Territory Battles. If you are not active or violate the 24 hour zero damage rancor or tank rules you will be removed. We currently have a group LINE chat going with 46 members on it. We use it because it is easy to communicate on, discuss strategy, and to coordinate raids and Territory Battles. We’re asking members to get a swgoh account (not required) because one of our guild member has created a spreadsheet that auto populates that we will use in the future to find how to best fill platoons in Territory Battles. Heroic rancor has a 24 hour zero damage phase followed by a FFA. We alternate raid times between 10:30 AM, 6:30 PM and 2:30 AM (all times Pacific U.S.). We have members all over the world and this allows everyone to have a raid time that is convenient for them. Our normal tanks are also 24 hour zero damage. The guild currently has 6 Zylos and a 4 Zavages so we should be okay in phases 1 & 3 when we make the jump to heroic tank. The guild members are currently working on their phase 2 HAAT teams and are acquiring either Zavage or a Teebotine/Chirpatine team so that we’re able to get through P3. We will be making our HAAT attempt within a week or so. We alternate normal tank times between 10:00 am and 10:00 pm Pacific so that everyone gets a shot at different phases. We use GroupMe to communicate. We will add you to GroupMe after you join us, so give us a shout in the guild chat as u join. This is mandatory, we need all players to pay attention on what we do together in the raids and in Territory Battles. For now we do Heroic Pit Raids and normal Tank raids. We are at central european time CET, but have players from outside Europe as well. Raid rules! 12 Hours of 0damage, Pit Raids 1 attempt each, tank raids 1 team each phase. We start the raids at 07:00 or 19:00 CET. Guild name: CookieGalaxy 47/50 players (we can squeeze in some more if you are part of a small group), 50M GP. bei der Suche nach einer passenden Gilde für einige 2. Accounts sind wir nur auf "tote" Gilden gestoßen! Daher der Aufruf für Spieler jeden Levels: Schließt euch uns an! Wir haben Neulinge und sehr erfahrene Spieler, die sie beraten, aber in anderen Gilden sind (so wie meinen Main). Es geht nur um Spaß am Spiel! Keine Pflicht von WhatsApp, Line oder Discord! I would like to invite everyone who is looking for a friendly, supportive & growing guild to join us! Our members operate from around the globe. If you are interested in joining us, feel free to add me to your friend list and I'll send you an invite! Not looking to join but looking for a member of your guild by the name of Cecil. I am a member of his ship shard and was looking to start or join a shard chat. I am Mikael#5512 on discord if he has it and is interested. Thanks! The Sith Family - Recruiting Dark Lords NOW!!!! We are a family of 14 guilds, 10 of which are full Heroic farm/TB/TW focused guilds. We now have added three Training Guilds designed to help newer players establish themselves, learn about the game, and to help focus their activity on specific squads in order to get the best experience! WANTED: Players of all levels focused on game progression, having fun and enjoying a large family community. The Sith is all about family. No evil overlords or dictators, no bullying or negativity.... I know, doesn’t sound much like Sith Lords you’ve seen in the movies. But our relentless pursuit of perfection and power fits nicely with the name! - 3 Training Guilds that players can promote from one to the other once they reach the required level or GP milestone! - A vast and knowledgeable online community with over 600 members working together to achieve greatness! - Hands-on leadership for each Training Guild that will guide you to the rewards you desire! We do not disappoint. We do not fail. One Team, One Dream. JOIN THE DARK SIDE. IT IS YOUR DESTINY.